BIRDZ powered by Games Warehouse- one of the UK Slots developer is available to play on both mobile and desktop devices. For those who like to watch the cute free birds, they now know that there is a slot game they will love. BIRDZ UK slots have 30 paylines. The cascading reels of the slot along with five bonus features is a major plus point. Some exciting wins can truly turn your luck around. You will see the cute birds which are the main characters of the game sitting on the wire string which is placed between 2 telegraph poles. On the left-hand side, a bonus trail will be visible. The betting range varies from 30p to £150. The players with all budget- sizes can give this slot a try due to its feasible betting range. If you hit any symbol which is a part of winning combo, it will disappear. They will get replaced by new symbols thereby granting more wins. Keep looking out for those amazing bonuses included in the slot as some massive payouts can be in your favor through these bonuses. An egg is the 'wild symbol' in this slot. You need to form winning combinations in groups of at least three birds, and a bigger group will fetch you a bigger win. Bird Blitz feature will get activated on ending of any non-winning spin. Until the next winning combination hits, the re-spins will granted. In the next feature named Shotgun feature, three bird symbols will be selected. After selection, they will get shot away, and a winning combination will get activated. In Zap feature, a wire will get selected and will get electrified. On getting electrified, the symbols will disappear and will get substituted by new symbols. The feature named Pecking Order includes three symbols with low values getting replaced with those which are highly paid. In the bonus feature named Scarecrow, when the birds present will fly away, new symbols will come to replace them thereby leading to the creation of a new winning combo. The last feature is the Cracking Wilds feature in which wild symbols replace the symbols to create a win. 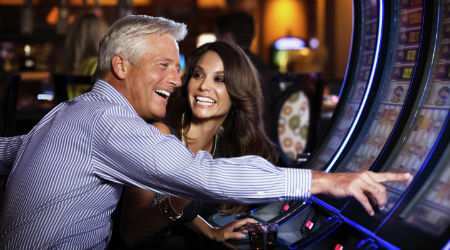 A meter visible on the left-hand side will get filled up each time when a win lands and as soon as the win lands, the player gets to gain eight to twenty-two free spins. With a 95.4% of return to the player percentage, BIRDZ UK slots possess amazing visuals with characters loaded with cute looks. Although the system of spinning reels is not present in this slot, the potential of some huge payouts keeps the players stick to it for at least some time.